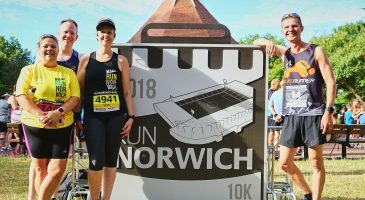 We are very excited, and very privileged to have been chosen as one of the Official Race Charities for Run Norwich 2019. Headway and the Community Sports Foundation are the other two charities chosen this year. This iconic race attracts thousands of runners, and the route takes in all the major landmarks in the city. Through being part of this amazing event, we will receive greater awareness and publicity for our work, and so most importantly at the moment, we want people to sign up to run for us!